provides this newsletter as a service for interested persons worldwide. (Always check the PDF link above if the web page is not updated. PDF updated 1st of every month! International Association for Astronomical Studies. 0.5% of every purchase will be donated to the group. For amateur radio operators and scanner enthusiasts, when in the Denver metro area, please join the Colorado Astronomy Net on the Rocky Mountain Radio League's WØWYX 146.94 MHz and 449.825 MHz repeaters. The RMRL 146.94 repeater is also linked with the WBØWDF Cripple Creek 447.400 MHz repeater and Allstar nodes 28298, 28299 and 29436. We are also linked via Echolink, links are k0jsc-r and canoncty courtesy of KØJSC and KØGUR. More information on the WBØWDF repeater links and Allstar nodes and Echolinks can be found at k0jsc.com. We are also linked with Allstar nodes in Florida as well, courtesy of KA4EPS. The net meets on Tuesday nights at 7 P.M. Mountain Time (US). Obtain your Amateur Radio (Ham) License or your General Radio Operator's License (GROL)! Visit the South Metro VE Team website for more information. The South Metro VE Team provides test sessions on the 1st Saturday of each month at our new Eagle Street Facility, The City of Centennial, 7272 South Eagle Street, Centennial, Colorado 80112-4244 at 9am. 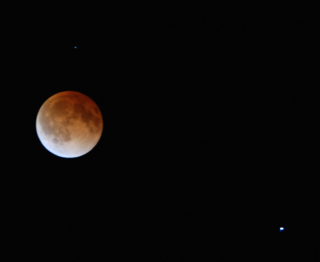 The Colorado Astronomy Net and the IAAS are on Facebook. Please be sure to "Like" us! of the JPL Solar System Ambassador/NASA Outreach program. For special JPL programs and presentations in your area visit the JPL Solar System Ambassador website. as part of the Kitt Peak Advanced Observing Program. "Skygazers should keep their eyes peeled for a slender crescent Moon low in the west during evening twilight March 7 and 8." Astronomy Magazine, March 2019, p.36. A calendar displaying the daily astronomical events. New Moon occurs on the 6th. First Quarter Moon occurs on the 14th. Full Moon occurs on the 20th. Last Quarter Moon occurs on the 28th. 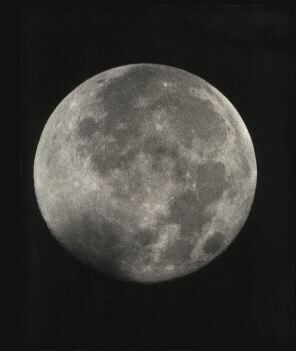 The Moon is at Apogee on the 4th, 252,519 miles from Earth. The Moon is at Perigee on the 19th, 223,307 miles from Earth. The Moon passes 0.3° north of Saturn on the 1st. The Moon passes 0.5° north of Pluto on the 1st. The Moon passes 1.2° south of Venus on the 2nd. The Moon passes 5° south of Uranus on the 9th. The Moon passes 6° south of Mars on the 11th. The Moon passes 2° south of Jupiter on the 26th. The Moon passes 0.5° south of Saturn on the 28th. The Moon passes 0.3° north of Pluto on the 29th. For reference: The Full Moon subtends an angle of ~0.5°. Planetary Reports generated by "TheSky" software. These reports provide predicted data for the planets for the first of each month for the current year. The rise and set times for the Sun and the Moon for each day of the month as well as meteor shower radiants are also included in the reports. These reports have been optimized for the Denver, Colorado location, however, the times will be approximate for other locations on Earth. Mercury and Mars are the only two bright planets in the evening sky this month, though Mercury disappears after the first week. To see the other bright planets, rise early in the morning to see Jupiter, Saturn and Venus. Uranus is about half way between Mercury and Mars in the evening sky. Neptune swings around the back side of the Sun and will return to the morning sky later in the month. Pluto trails Saturn in the early morning as well. The Earth reaches the Vernal Equinox on the 20th. 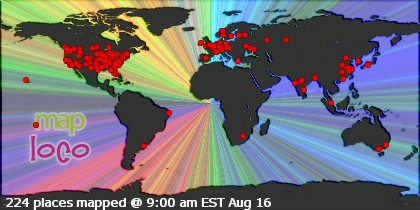 Is stationary on the 4th. Mercury is in inferior conjunction with the Sun on the 14th. Mercury is stationary again on the 27th. Mercury sets at 5:24 p.m. on the 1st. Mercury rises about 5:49 a.m. by month's end. Look for Mercury low to the west about 30 minutes after sunset during the first week of the month. After the 14th, Mercury returns to the morning sky but will be lost in the morning twilight glow until about the third week of the month, then look for Mercury low to the east about 30 minutes before sunrise. Mercury moves from the constellation of Pisces into Aquarius this month shining at magnitude -0.2 on the 1st. Rises at 4:35 a.m. on the 1st and about 5:27 a.m. by month's end. Look for Venus in the southeast about an hour before sunrise. Venus moves from the constellation of Capricornus into Aquarius shining at magnitude -4.0 on the 15th. U.S. Daylight Saving Time begins on Sunday March 10, 2019 at 2 a.m local. The Vernal Equinox occurs at 5:58 p.m. EDT on the 20th. Sets at 10:50 p.m. on the 1st and about 11:33 p.m. by month's end. Look to the west soon after sunset to spot Mars. Mars moves from the constellation of Aries into Taurus shining at magnitude 1.3. Rises at 2:06 a.m. on the 1st and about 1:15 a.m. by month's end. Jupiter is visible towards the southeast in the morning sky before sunrise. Jupiter is in the constellation of Ophiuchus shining at magnitude -2.1. Rises at 3:55 a.m. on the 1st and about 3:01 a.m. by month's end. Look for Saturn southeast about an hour before sunrise. Around the 13th, look for Jupiter, Saturn and Venus lined up equidistant from each other. Saturn is in the constellation of Sagittarius shining at magnitude 0.6. Sets at 11:38 p.m. on the 1st and about 9:52 p.m. by month's end. Look for Uranus about an hour or so after sunset to the southwest. Uranus is in the constellation of Aries shining at magnitude 5.9. Is in conjunction with the Sun on the 6th. Neptune will return to the morning sky after that, but will still be lost in the morning twilight glow. Neptune will not be visible this month. Neptune sets at 6:13 p.m. on the 1st. Neptune rises about 5:53 a.m. by month's end. Neptune is in the constellation of Aquarius shining at magnitude 8.0. Rises at 12:52 a.m. on the 1st and about 12:07 a.m. by month's end. Ceres can be spotted low to the south in the early morning hours before sunrise. Ceres is in the constellation Ophiuchus shining at magnitude 8.4. Rises at 4:14 a.m. on the 1st and about 3:14 a.m. by month's end. Pluto trails Saturn by about 15 to 20 minutes all month, which may aid in spotting this elusive planet. Pluto is in the constellation of Sagittarius shining at magnitude 14.3. As always, good luck at spotting Neptune, Ceres and Pluto, a large telescope and dark skies will be needed. There are a few minor meteor showers but none that produce rates much higher than 2-5 per hour, except the Gamma Normids that extend over the period of March 11 to 21, with the maximum occurring on March 16. The maximum rate reaches about 5-9 meteors per hour. 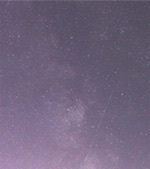 For more information about Meteor Showers, visit Gary Kronk's Meteor Showers Online web page. Meteor Scatter (or Meteor burst communications) - "is a radio propagation mode that exploits the ionized trails of meteors during atmospheric entry to establish brief communications paths between radio stations up to 2,250 kilometres (1,400 mi) apart." Tune your shortwave or your HF amateur radio to 54.310 MHz SSB and see if you can hear any pings. Try other frequencies as well... 6m FT8 digital - 50.313 Mhz & 50.276 Mhz, JP-65 digital mode and the carrier frequencies of the lower VHF bands for TV channels 2, 3 & 4. Comet 46P/Wirtanen has dimmed to about 10th magnitude as it moves away from Earth. A 4 to 6 into telescope will be need to see Comet Wirtanen as it passes through the southern part of Ursa Major into northern Leo Minor. For information, orbital elements and ephemerides on observable comets, visit the Observable Comets page from the Harvard-Smithsonian Center for Astrophysics. For more information about Comets, visit Gary Kronk's Cometography.com webpage. View Mercury, Mars, Uranus and Neptune in the early evening sky after sunset. Look for Venus, Jupiter and Saturn shining brightly in the morning sky. Try to spot Comet 46P/Wirtanen passing from Ursa Major into Leo Minor. Juno is in the constellation of Orion. Hebe is in the constellation of Orion. Herculina is in the constellation of Leo. Iris is in the constellation of Corvus. Pallas is in the constellation of Boötes. Vesta is in conjunction with the Sun on the 7th. Information about the Minor Planets can be found at the Minor Planet Observer website. Information on various occultations can be found by clicking the IOTA logo. I have created a web page containing images taken and submitted by subscribers to the email newsletter, check-ins to the Colorado Astronomy Net and readers of the online newsletter. Any one wishing to submit their own images to the gallery, please let me know. The images must be taken by the submitter and be astronomy related. Please include a description and your information so that I can give proper credit to your work. This is a new section where I will post meteor, fireball, etc sightings that have been published on the American Meteor Society's web site. I want to make this an active section of the web pages and newsletter and would like to publish the links to member sightings. If you have any published sightings, please provide me with the links and I will post them here for all to enjoy. "Three images from NASA's Spitzer Space Telescope show pairs of galaxies on the cusp of cosmic consolidations. Though the galaxies appear separate now, gravity is pulling them together, and soon they will combine to form new, merged galaxies. Some merged galaxies will experience billions of years of growth. For others, however, the merger will kick off processes that eventually halt star formation, dooming the galaxies to wither prematurely." "Read the latest news and discoveries from JPL's dozens of active space missions exploring Earth, the solar system and worlds beyond." Past, Present, Future and Proposed JPL Missions. For special JPL programs and presentations in your area visit the JPL Solar System Ambassador web site. "Dramatic atmospheric features in Jupiter's northern hemisphere are captured in this view from NASA's Juno spacecraft. The new perspective shows swirling clouds that surround a circular feature within a jet stream region called 'Jet N6.'" The public can follow the Juno mission on Facebook and Twitter. "The mission team called it a "stretch goal" - just before closest approach, precisely point the cameras on NASA's New Horizons spacecraft to snap the sharpest possible pics of the Kuiper Belt object nicknamed Ultima Thule, its New Year's flyby target and the farthest object ever explored.  Now that New Horizons has sent those stored flyby images back to Earth, the team can enthusiastically confirm that its ambitious goal was met." Find New Horizons in the iTunes App Store here. For more information on the New Horizons mission - the first mission to the ninth planet - visit the New Horizons home page. "Ceres, the dwarf planet between Mars and Jupiter, is a mysterious and exotic world, with its complicated history and recent geologic activity. Since scientists can't currently visit or bring back a sample, they are trying to make a little bit of Ceres on Earth." A gallery of images can be found online. For more information on the Dawn mission, visit the Dawn home page. "Explore the plethora of planets outside our solar system with new multimedia experiences from NASA's Exoplanet Exploration Program (ExEP). In addition to a new Exoplanet Travel Bureau poster celebrating a molten world called 55 Cancri e, space fans can enjoy a 360-degree visualization of the surface of the same planet, a multimedia journey into the life and death of planetary systems, and a major update to the popular Eyes on Exoplanets app." For more information on the TESS mission, visit the Latest Tess Stories page. Visit JPL's mission pages for current status. Mars website mobile version is here! 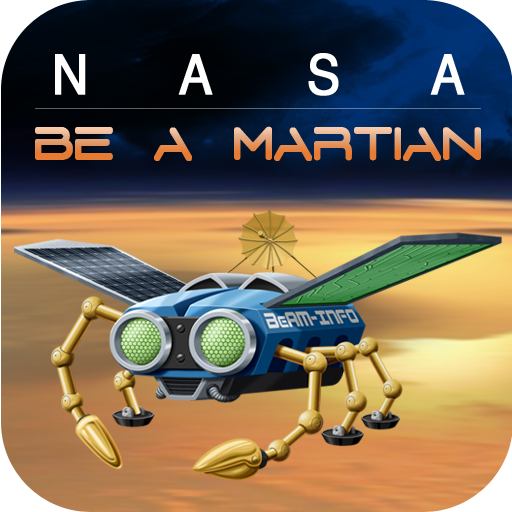 If you want the latest news as it happens, try our Be A Martian app. JMARS is an acronym that stands for Java Mission-planning and Analysis for Remote Sensing. It is a geospatial information system (GIS) developed by ASU's Mars Space Flight Facility to provide mission planning and data-analysis tools to NASA's orbiters, instrument team members, students of all ages, and the general public. "The Laboratory for Atmospheric and Space Physics (LASP) at the University of Colorado Boulder (CU) began in 1948, a decade before NASA. We are the world's only research institute to have sent instruments to all eight planets and Pluto. LASP is an affiliate of CU-Boulder AeroSpace Ventures, a collaboration among aerospace-related departments, institutes, centers, government labs, and industry partners." 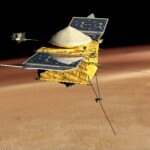 "The 4-year-old atmosphere-sniffing MAVEN mission is embarking on a new campaign today to tighten its orbit around Mars. The operation will reduce the highest point of the MAVEN spacecraft's elliptical orbit from 3,850 to 2,800 miles (6,200 to 4,500 kilometers) above the surface and prepare it to take on additional responsibility as a data-relay satellite for NASA's Mars 2020 rover, which launches next ye"
Visit LASP and MAVEN for more information. "Curiosity returned to science planning today after a two week hiatus because of a technical issue. Our most recent science plan, described in the blog for Sols 2320-2323, included a drive towards a blocky outcrop called "Midland Valley." The drive was a success, bringing us right on top of the beautiful chunk of rock shown above - but before we could reach out and touch it, Curiosity went into safe mode. While the engineers worked to return Curiosity to nominal operations, the science team stood down from planning, eagerly awaiting our chance to get a closer look at Midland Valley." For information about NASA's partnership with Foursquare, visit:http://www.nasa.gov/connect/foursquare.html. Visit the Mars Science Laboratory page. "More than 1,300 commands were radiated to Spirit as part of the recovery effort in an attempt to elicit a response from the rover. No communication has been received from Spirit since Sol 2210 (March 22, 2010). The project concluded the Spirit recovery efforts on May 25, 2011. The remaining, pre-sequenced ultra-high frequency (UHF) relay passes scheduled for Spirit on board the Odyssey orbiter will complete on June 8, 2011. Total odometry is unchanged at 7,730.50 meters (4.80 miles)." "No response has been received from Opportunity since Sol 5111 (June 10, 2018), amid a planet-encircling dust storm on Mars. With the last uplink transmission on Sol 5352 (Feb. 12, 2019), the rover recovery efforts are concluded. The Opportunity mission is complete. The team will begin the project close out phase. A NASA press conference was held on Wednesday, Feb. 13, 2019, at NASA's Jet Propulsion Laboratory in Pasadena, California, to report on the end of the rover mission. Total odometry is unchanged at 28.06 miles (45.16 kilometers)." Visit the Mars Exploration Rover page. "NASA's InSight spacecraft and its recently deployed Wind and Thermal Shield were imaged on Mars on Feb. 4 by the HiRISE camera aboard NASA's Mars Reconnaissance Orbiter." All of the HiRISE images are archived here. More information about the MRO mission is available online. "Science fiction writers have long featured terraforming, the process of creating an Earth-like or habitable environment on another planet, in their stories. Scientists themselves have proposed terraforming to enable the long-term colonization of Mars. A solution common to both groups is to release carbon dioxide gas trapped in the Martian surface to thicken the atmosphere and act as a blanket to warm the planet." Can be found at the Thermal Emission Imaging System (THEMIS) website. The Odyssey data are available through a new online access system established by the Planetary Data System. 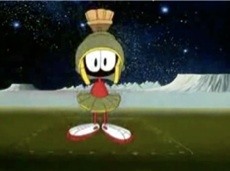 Visit the Mars Odyssey Mission page. "This public tool includes stats on temperature, wind and air pressure recorded by InSight. Sunday's weather was typical for the lander's location during late northern winter: a high of 2 degrees Fahrenheit (-17 degrees Celsius) and low of -138 degrees Fahrenheit (-95 degrees Celsius), with a top wind speed of 37.8 mph (16.9 m/s) in a southwest direction. The tool was developed by NASA's Jet Propulsion Laboratory in Pasadena, California, with partners at Cornell University and Spain's Centro de Astrobiologìa. JPL leads the InSight mission.". Interactive selection of raw images taken by the cameras aboard InSight. Learn more about the InSight Mission. New Mars missions are being planned to include several new rover and sample collection missions. Check out the Mars Missions web page and the Mars Exploration page. Brighton Astronomy Group - Astronomy in Brighton, Colorado (under construction). Cloudbait Observatory, Guffey Colorado - Submit your fireball reports here. Interesting, knowledgeable site. 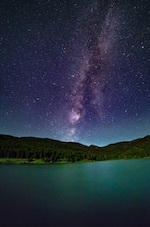 Colorado Springs Astronomical Society - The Colorado Springs Astronomical Society (CSAS) is a nonprofit organization dedicated to the enjoyment of the nighttime sky. Denver Astronomical Society - Promotes the enjoyment and understanding of astronomical phenomena, history and lore by providing educational and observing opportunities for our members, general public, and outreach activities at the University of Denver's historic Chamberlin Observatory, schools, and nature centers. Gateway2Space - More information about the Star Light -- Star Bright Observatory. Little Thompson Observatory - The Little Thompson Observatory (LTO) offers no-charge public access to the wonders of the night sky, either on one of our regularly scheduled public nights, or as a private group affair. When the weather co-operates, each session includes a guided tour of the sky using our large (18") telescope. Mike Coletta's SatWatch - Orbiting object and satellite watching. ORBITING OBJECT TRACKING … It's the thrill of the chase. Promoting and supporting the hobby of amateur radio, Mike - KG0UFO, along with many other radio hobbyists around the globe use the reflected signals of the AF Space Fence to detect orbiting objects as they make their way over the US. - The AF Space Fence was shut down in Sept. 2013. These are recordings of Mike's many observations. National Space Science & Technology Institute - NSSTI runs the Star Light--Star Bright Observatory in Colorado Springs, Colorado. 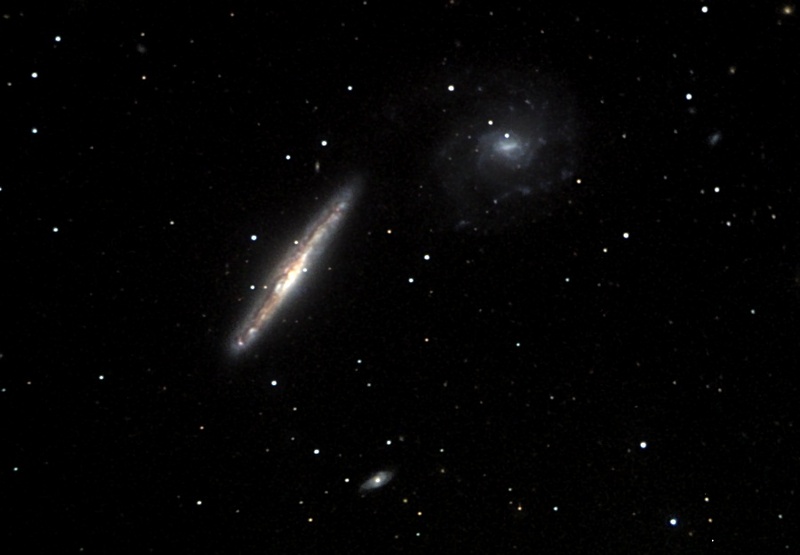 Northern Colorado Astronomical Society - The purpose of our organization is to encourage the understanding & interest in the science & hobby of astronomy. 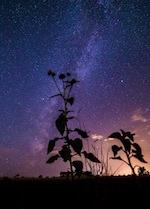 Southern Colorado Astronomical Society - The Southern Colorado Astronomical Society, CSU-P and the Pueblo Nature and Raptor Center welcomes everyone to participate in the discovery of our night sky. Star Cruiser Bill's Astrophotography - Great astrophotography from Aurora Colorado. AMSAT - The Radio Amateur Satellite Corporation, or AMSAT, is a worldwide group of Amateur Radio Operators (Hams)... AMSATâ€™s goal is to foster Amateur Radioâ€™s participation in space research and communication. HighQ Software Group - Blog of Ralph Boyd, Software engineer, amateur radio operator, radio astronomer. Radio Astronomy News - Radio Astronomy news and information. Radio Astronomy Research Posts - Radio Astronomy Research news posts and observations. Radio Astronomy Supplies - Radio Astronomy Supplies, the International leader in research radio telescopes for universities, observatories and individual. Radio JOVE Project - Radio JOVE students and amateur scientists observe and analyze natural radio emissions of Jupiter, the Sun, and our galaxy. Society of Amateur Radio Astronomers - The Society of Amateur Radio Astronomers (SARA) is an international society of dedicated enthusiasts who teach, learn, trade technical information, and do their own observations of the radio sky. A Guide to the Galaxy Right from our Bedroom Window - An interesting site suggested by the students from Lexington Middle School Science Club in Nebraska. Lots of good basic astronomy information. A Kid's Guide to Astronomy - A great site with other links to learn about stars and astronomy for kids of all ages. "TheSky" - Astronomy Software by Software Bisque. A Sea of Stars - Voyages of a Merchant Mariner & Amateur Astronomer - I'm a retired Navy veteran, currently sailing with the US Navy's Military Sealift Command as an Operations Chief. My dominant interests are science (esp. astronomy), history and photography, and I enjoy naval and military wargaming WHEN I can find the time. A Short Guide to Celestial Navigation - Celestial navigation is the art and science of finding one's geographic position by means of astronomical observations, particularly by measuring altitudes of celestial objects — sun, moon, planets, or stars. The ARRL - Amateur Radio Relay League - Information about amateur radio and how to become an amateur radio operator. American Meteor Society - Provides amateur observers a place to learn about and report meteor, fireball and related sightings. Astrogirl Homepage - Family-friendly educational astronomy website. Astronomia - Online web applications that use catalogues of astronomical objects. Applications and their description are also prepared in English. Astronomy Picture of the Day - A different picture of the cosmos every day. Astronomy 2009 - This site has some good links a young, interested student wishes to share. Be an Astronomer right from your Window - At-home astronomy techniques. Caelum Observatory - The LARGEST dedicated public telescope in the Southwest at the Mount Lemmon SkyCenter! Celestron Telescopes - Celestron telescopes. Clear Skies Observing Guides - CSOG, short for Clear Skies Observing Guides is a new concept in visual amateur astronomy. It is a digital publication that will enable observers to target all deepsky objects and carbon stars within reach of their equipment. The Constellations and Their Stars - Good site for finding out more about the 88 constellations and their associated stars. CosmoQuest - The place where you map other worlds, explore out universe and contribute to science. Distant Suns - Desktop Astronomy package for PCs. Groovy Adventures - Unique adventures and vacations including astronomy related vacations. Heavens-Above - As the name implies - What's up in the heavens, particularly satellite passes. The International Dark-Sky Association - To preserve and protect the nighttime environment and our heritage of dark skies. informED: 10 Teaching Tools for Educators - informED - Teacher Resources. iTelescope.net - iTelescope.Net is the world's premier network of Internet connected telescopes, allowing members to take astronomical images of the night sky for the purposes of education, scientific research and astrophotography. JPL Solar System Ambassador Program - "Volunteers Bringing the Solar System to the Public"
JPL Solar System - Jet Propulsion Laboratory information on our solar system. K8JTK.ORG - Welcome to the home page of Jeffrey Kopcak. You will find pages and posts I wrote about my hobbies, interests, projects, and things I'm involved in. Kids Space Center - Telescopes and Astronomy - Another site suggested by a young student - Great info about telescopes. Mars Exploration, Mars Rovers Information, Facts, News, Photos - National Geographic - Mars Exploration - Investigating the Red Planet. Meade Advanced Products Users Group - Mapug-Astronomy Topical Archive & information resource, containing a massive 335 page archive of discussions about Meade equipment, and much more: observatories, observing lists, permanent piers, equatorial wedges, remote operations, software, eyepieces, etc. NASA - Lunar and Planetary Science - General information, Missions to Comets, Data, Press Releases, Meteors and Meteorites, Other topics of Interest. NASA Science News - NASA missions, updates, astronomy news, excellent resource. National Archives info on space exploration - Archives Library Information Center (ALIC) - Space Exploration - Information about the United States' space flight programs, including NASA missions and the astronauts who participate in the efforts to explore space. 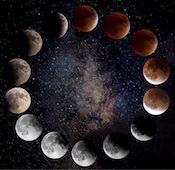 Predictions for Solar and Lunar Eclipses - A website dedicated to predictions and information on eclipses of the Sun and Moon. Skymaps.com - Free sky maps each month. Skywatch Sightings from NASA - This site gives you the best times to watch the ISS pass over or near your location. Space.com - Interesting space and astronomy articles. Spaceflight Now - Launches and satellite news. SpaceLinks/Space Careers - SPACELINKS is a specialist staffing consultancy sourcing and supplying high caliber professionals for a wide range of world class organizations in the Space and Defense industry. "SpaceRef.com" - SpaceRef's 21 news and reference web sites are designed to allow both the novice and specialist alike to explore outer space and Earth observation. Space Weather - Check out what the sun is doing as seen from space. Stellarium - Free, downloadable planetarium/astronomy software. The Most Expensive & Amazing Telescopes In History - Some of the most expensive and amazing telescopes in history - From The Hub Post. The Ultimate Beginner's Guide to Astrophotography - Looking up into the night sky with just your eyes and maybe a telescope is amazing on its own. But it can be even better when you photograph and record it for your memories. Top 50 Astronomy NASA Photos of All Time - A list of the most interesting moments in the history of science - From The Hub Post. Ultimate Resource Guide for Astronomy - The resources we have provided below cover everything from discussing what astronomy is all the way to social media groups that focus on this popular and interesting topic. Use this resource guide for finding some great sites on astronomy whether you are a teacher looking for lesson plan ideas, a student wanting to brush up on their knowledge, a college student looking for a career or you just love the stars and want the most from your experiences. UniverseToday - Short, interesting articles about space and related topics. Wikisky - WIKISKY is a non-commercial project. The main purpose of WIKISKY is to consolidate astronomical, astrophysical and other information about different space objects and astrophysical facts. Definitions of astronomical terms. Many of the astronomical terms used in this newsletter are defined here. Read the Universe Today Newsletter by clicking on the logo. Much of the information in this newsletter is from Astronomy® Magazine (Kalmbach Publishing), JPL mission status reports, the Internet, "Meteor Showers - A descriptive Catalog" by Gary W. Kronk, Sky & Telescope web pages, and other astronomical sources that I have stashed on my bookshelves. The author will accept any suggestions, constructive criticisms, and corrections. Please feel free to send me any new links or articles to share as well. I will try to accommodate any reasonable requests. Please feel free to send questions, comments, criticisms, or donations to the email address listed below. Enjoy! To subscribe: visit Astronews subscription page.